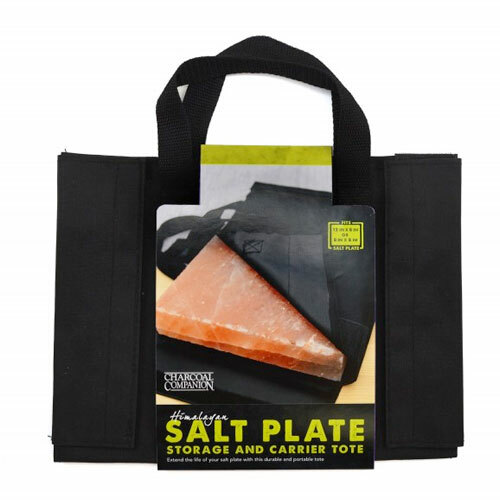 Salt Plate Storage & Carrier Tote | Patio and Hearth Co. Whether you’re just taking it to the grill or taking it on the road, protect your salt plate! This convenient carrying case can be used for either 8″ x 12″ or 8″ x 8″ salt plates. With its smart construction and reinforced cover, your salt plate will be well protected. Sturdy webbed handles offer easy handling. This case is also perfect for storing your salt plate when not in use. Inquire about Salt Plate Storage & Carrier Tote using the form below.